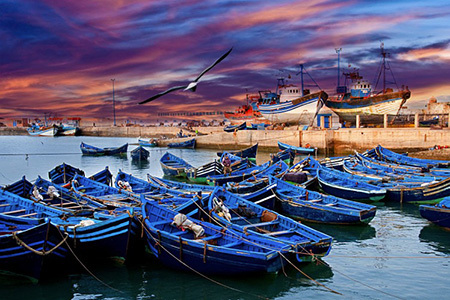 Essaouira, also called « the pearl of the Atlantic coast » is a UNESCO World Heritage site. The ancient town surrounded by ramparts offers a fascinating culture, history and people. Strolling around feature a host of treasures: picturesque alleyways and streets, craft makers working in their tiny shops, the burstling port with its typical blue fishing boats, the many typical souqs (markets), the huge sandy beach, the islands, and the near amazing countryside. The name of Al-Suwayra means in arabic language « the well drawn ». In the late 18th century, Sultan Sidi Mohammed Ben Abdallah actually decided to renew the city and asked to the French architect Théodore Cornut to draw the plan of it. Essaouira is the unique ancient walled town in Morocco with a geometrical plan influenced by European townplanning. On Morocco’s Atlantic Coast close to Marrakech and Agadir. 170 km west of Marrakech and 170km north of Agadir, Essaouira is easy to reach by car, taxi or by bus. Essaouira’s airport is located 16 km away from the city and proposes international direct flights such as Luton in England and Paris in France. Essaouira offers many various music events all year round. 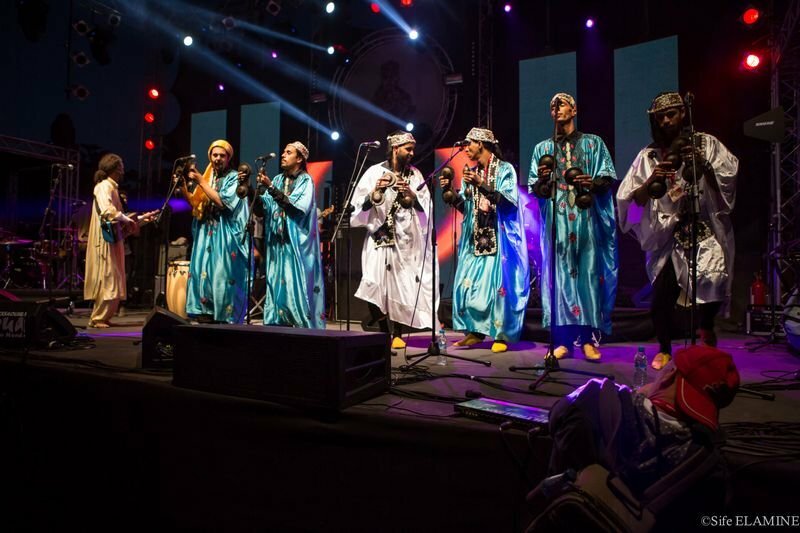 The « Gnawa World Music Festival». is the most famous one (450 000 festival goers in 2014). May 12 – 15, 2016. A moderate climate the year round. 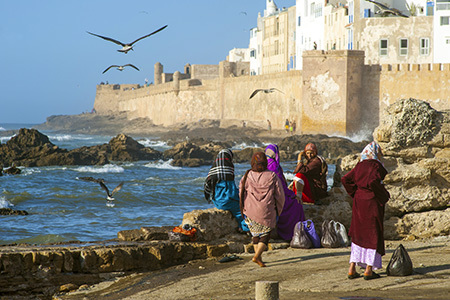 Essaouira has a moderate and sunny climate throughout the year.